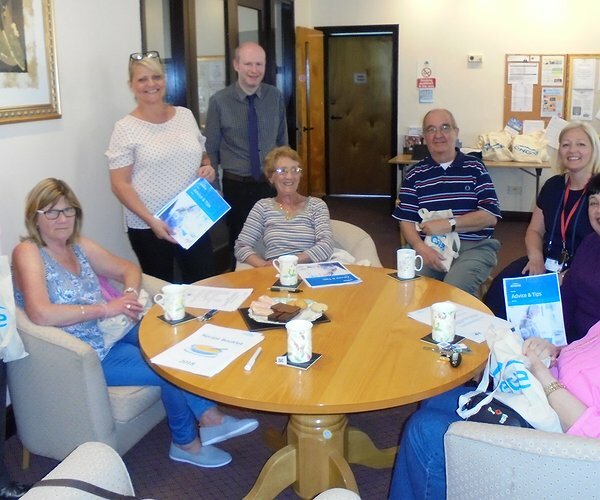 Liz McCloskey, Senior Community Engagement Officer, Mark Drinkwater, Building Surveyor, and Nicki Sorton, Community Engagement Coordinator, from ENGIE called in to the Cae Glo sheltered housing scheme in Colliery road, Wrexham, to run an energy advice session for residents. “There were some really useful tips and, as well as bringing along recipe booklets and veggie packs for all to inspire them in making carrot and coriander soup, the ENGIE team also donated a slow cooker as a raffle prize which was won by Ann Williams,” said Louise Blackwell Community Development Officer for Clwyd Alyn. “We’d like thank the ENGIE team for providing a great session, and also thank Clwyd Alyn Housing Officer Ami Jones for supporting the initiative,” added Louise. "New affordable homes in Colwyn Bay"
"Find out more about new Hafan Cefni homes"